Congrats on the trip Bob, you are a good man doing work! Bob, I think it is so amazing that you take time to do this each year. I'm sure folks at the Ticket think it's a "nice gesture" but also wonder why you are compelled to go yearly. Hope your stance makes everyone ponder bigger things! God Bless Bob ... elevating others with compassion is as good as it gets. ENJOYED YOUR STORY. SOME PLANT, SOME WATER, OTHERS MAY HARVEST, BUT ALL REAP. TAKE CARE. Thanks for the post on your trip. That is really a great thing you are doing and your ability to put it in perspective really hits home. Thanks again. Great job on pursuing Christ and taking a moment to dwell deep. Your post and courage is "Wallace" like. Your environment doesn't really lend itself to be open to this style of conversation, but you pursue it anyway. I'm sure Janks and I will talk about it a little when he get's back from his trip. We are always looking for ways to dwell deep in our shallow environments. Bob: Thanks for getting the word out about Buckner and also for showing the rest of us guys that you don't have to be a preacherman to spread God's love. Thanks for your commitment to the Lord. I am a p1 since year two of The Ticket, but I'm like the majority: silent; happily listening every day to you guys do what you do. But I have to say that I am so blessed to see you continue to be a light on my favorite of all media outlets. This is awesome. 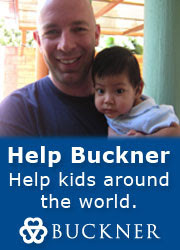 I spent six year in a row on short-term missions to central America and I loved every second of it. Keep it up, and God Bless.